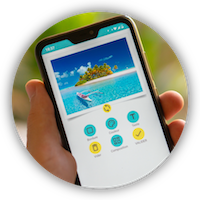 Create and send beautiful personalised postcards from your smartphone! 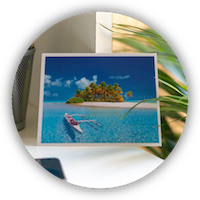 All occasions are a good reason to send a personalised postcard! 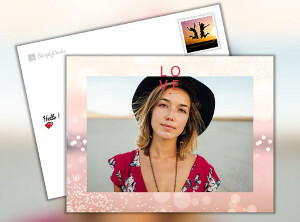 Personalise the postcard image by selecting from 1 to 9 of the photos from your phone or tablet, as well as from your Facebook, Instagram or Dropbox accounts. Use the tools palette to change your photo as well as the text, smileys, font, colour, frame, etc. Write a few words for the recipient with the font and colour of your choice. Add a smiley, your signature and personalise your stamp with a photo of your choice, if you want to. After you have added the recipient’s address, confirm! And there you go! We will take care of the rest. 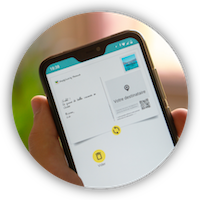 We print and ship the postcard worldwide within 24 hours (working days). and bring your memories to life!